Scientists in China claim they’ve created a working prototype of the ‘impossible’ fuel-free engine – and they say they’re already testing it in orbit aboard the Tiangong-2 space laboratory. The radical technology recently stirred up controversy after a paper published by a team of researchers from NASA’s Eagleworks Laboratories in the peer-reviewed Journal of Propulsion and Power appeared to show they’d successfully built the technology. It was said the engine could get humans to Mars in just 70 days. The "reactionless" Electromagnetic Drive, or EmDrive for short, is an engine propelled solely by electromagnetic radiation. This “impossible” engine appears to violate one of the fundamental laws of physics. With no fuel to eject, this tech contradicts Newton’s third law of motion, that for every action there is an equal and opposite reaction. 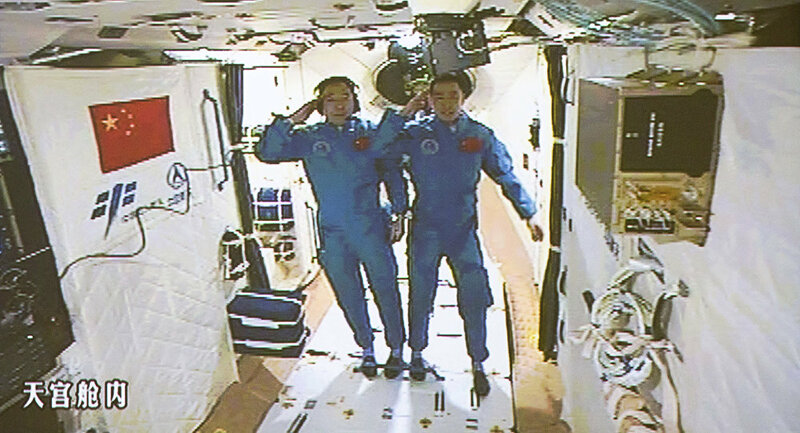 But now, scientists from Chinese Aerospace Science and Technology Corporation (CASC) claim NASA’s results “re-confirm” what they’d already achieved. The EmDrive, first proposed by British engineer Roger Shawyer, allegedly uses only electricity to generate movement simply by bouncing microwaves around a cone-shaped copper chamber and creating radiation pressure. No propellant goes in, no exhaust comes out. Even though the idea garnered headlines in the science press globally and even hit the the cover of New Scientist magazine, most scientists were, and still are, extremely skeptical.